Humane Traps to Safely Catch That Critter - Dependable, durable, and efficient. 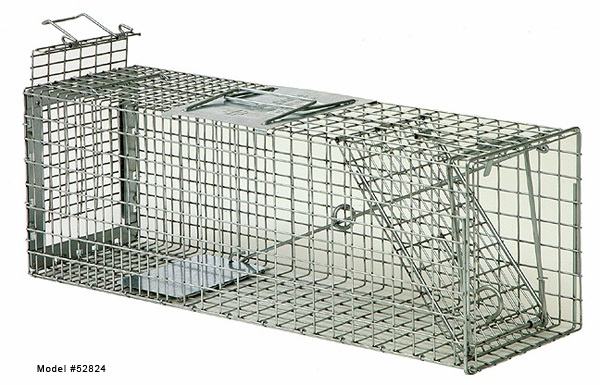 This humane box trap is made of heavy-gauge wire mesh reinforced with steel rods, quick trigger latches, and settings. 14-gauge wire. Safeguard traps are used by professionals throughout the industry in controlling nuisance wildlife in commercial and residential applications. Standard Traps are available in 6" increments and are available in both front release and rear release models. Safeguard Rear Release Box Traps provide you with a safe way to 'catch and release' that unwanted critter from your property. It's the humane solution. 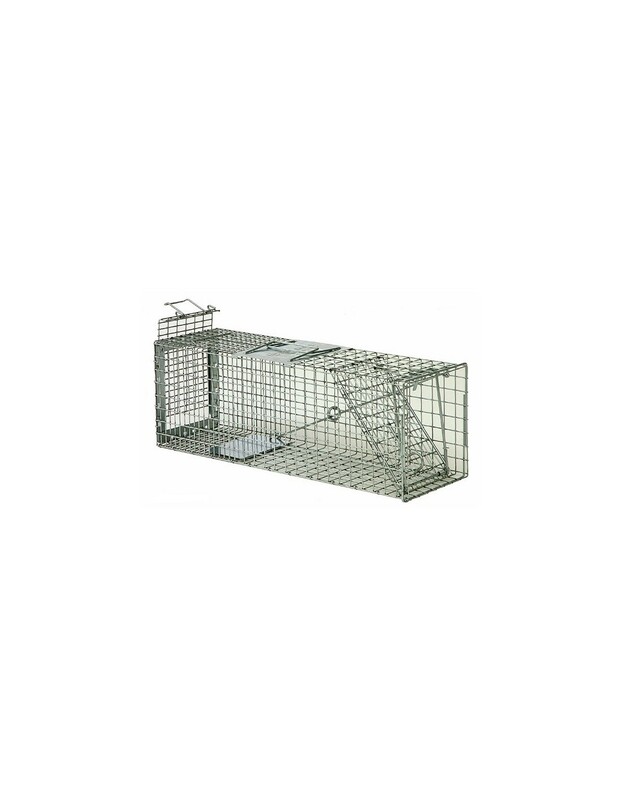 There are many different sizes of our standard box traps... Just choose the one that best suits the type of animal you are trying to safely trap. 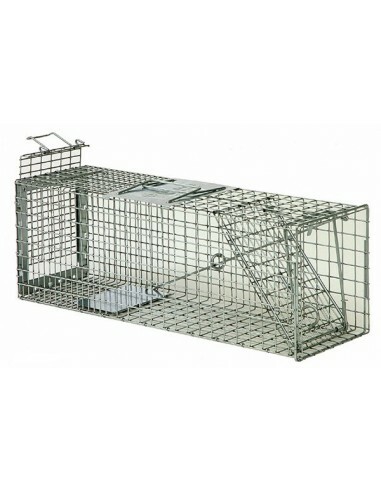 Then choose whether you'd like a front or rear release trap to set the critter free in its natural environment. For the humane solution to removing unwanted animals from your property, you need Safeguard Standard Front Release Box Traps. * All traps of 24" and larger are made of Galfan wire as opposed to common galvanized wire for a higher corrosion resistance, resulting in a three-time longer life. * Safeguard Traps are made with a heavy-duty reinforced spring-loaded door, to provide maximum performance and superior animal retention. * All traps include a heavy-duty bait tray designed to eliminate damage by trapped animals. * Safeguard Traps are available in a Front Release or Rear Release models for easier baiting and a safer release process. * All traps are made in the USA are covered by a 1 year warranty against manufacturer's defects. 14-gauge wire. Safeguard traps are used by professionals throughout the industry in controlling nuisance wildlife in commercial and residential applications. Choose your trap model below.